I wanted to give an update on my lazy three-step skincare routine I've been adhering to lately. It's been cleanse, the CNP Laboratory Propolis Energy Ampule, and a sheet mask (which I often find crumpled up and dry at the foot of my bed in the mornings). I've been finding that although my routine has been quite abbreviated, my skin's been holding up well due to a combination between these products, and the fact that there's still a lot of heat and humidity around these parts. 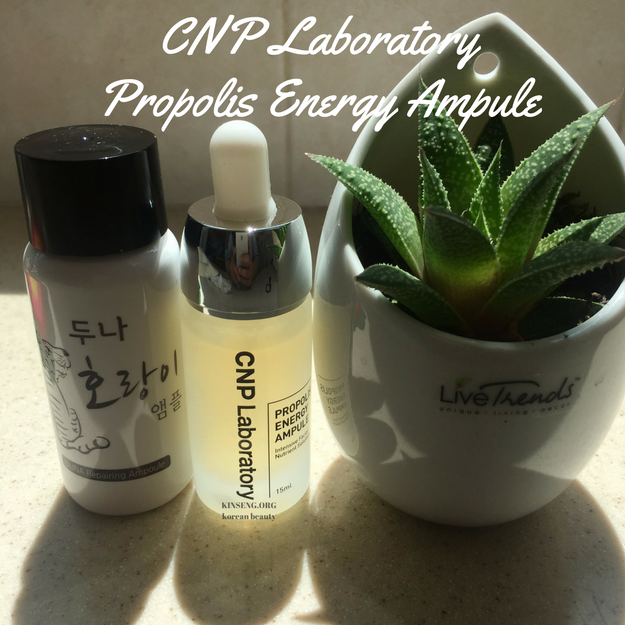 So what is the CNP Laboratory Propolis Energy Ampule? And how's it singlehandedly standing up my routine right now? We'll get into that. Disclosure: If you're curious about my policy on press samples, affiliate links, and sponsors, please see my disclaimer and policies. 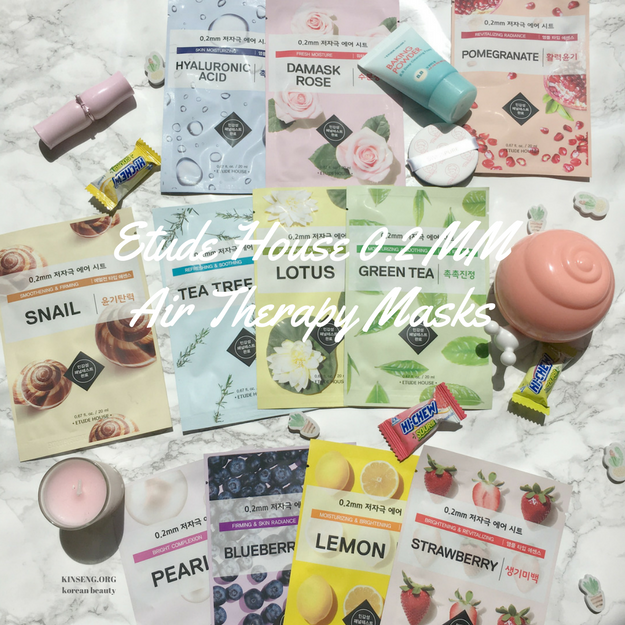 I know I haven't been updating as often as I used to, but rest assured my face has been busy testing out the many flavors of the NEW Etude House 0.2 mm Air Therapy Sheet Masks. These are the brand's new flagship masks as they've eliminated (as tears roll down my face) their previous line called the I Need You masks. But this is not a tragic tale. Even though the I Need You masks were fairly basic cotton masks that delivered their pretty good results for pretty good prices, they could stand for some improvement. Around 1-2 months ago, I stumbled upon some articles in the Korean press that seemed to imply that Etude House delivered on improving these masks with the new line I mentioned above. The articles stated that the masks had been selling out in stores , and when I logged onto Korean online global marketplace G-Market to pick up my own set, I was notified that the seller was experiencing significant delays in sourcing their inventory. 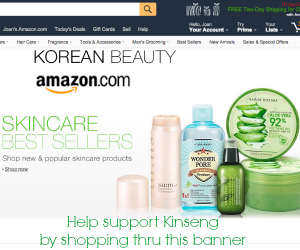 So - I turned to my trusty Korean shopping service KoreanBuddy.com and Chris (and team?) were able to go in-store and pick up as many masks as was possible for me. I snagged 11 of the 15 available mask types. So I'm going to quickly review the updated masks, and then go into a 'buying guide' of sorts which will list out the traits of each mask (by benefit) including the ingredients list, scent, etc. To be honest, I myself prefer Japanese sunscreens over Korean ones, because of the fact that they have a more granular designation for each sunscreen's stated UVA protection. Japanese sunscreens can be labeled anywhere from PA+ to PA++++ (4 +'s) protection, while Korean sunscreens can only be labeled ranging from one to three +'s. In case you missed it, there is a new regulation that passed the Korean FDA in 2016 that allows Korean cosmetics companies to label sunscreens up to PA++++ (4 +'s), but those sunscreens haven't hit the market yet, and so consumers are still clueless as to whether that 2015 SPF 50+ PA+++ is actually PA+++ or PA++++. (Rumor had it that some Korean sunscreens offered the higher level of ++++ protection, but were not able to label and market the products as such). 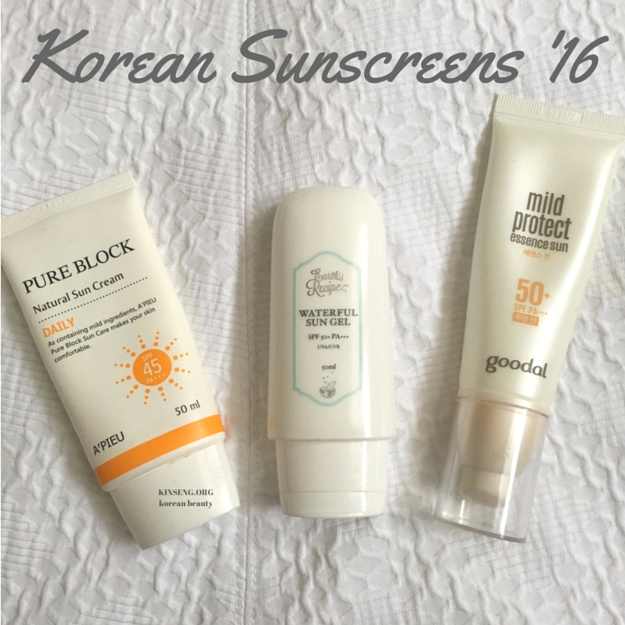 So why am I using and reviewing Korean sunscreens when I don't even prefer them? Sunscreens from the Land of the Rising Sun are hard as hell to source in a timely manner, without the help of Amazon Prime. Whereas there are a handful of U.S.-based retailers that sell Korean sunscreens which they can get to you in all of 3 days (hallelujah), I haven't found a Japanese retailer that does the same. In case you find yourself in the same predicament, or you actually like Korean sunscreens for some reason or another (they do oftentimes cost less than their Japanese counterparts due to shipping, product size, among other things), do read on as I have 3 Korean sunscreen reviews for you. If you're strictly about that PA++++ and cosmetically elegant sunscreen life, read my review of multiple Japanese sunscreens here. Disclosure: There are affiliate links in this post. Purchasing through an affiliate link is one way you can choose to support this blog at no additional cost to you. Affiliate links are marked with an asterisk. If you're curious about my policy on press samples, affiliate links, and sponsors, please see my disclaimer and policies. This month in my Memebox brand ambassador package, was this Ladykin Affinitic Lifting Cream which a) is so cute my ovaries almost burst and b) almost impossible to review impartially simply because of the little plastic snail packaging I plan to turn into a little candy jar for my desk at work. I'll give it a go anyhow. 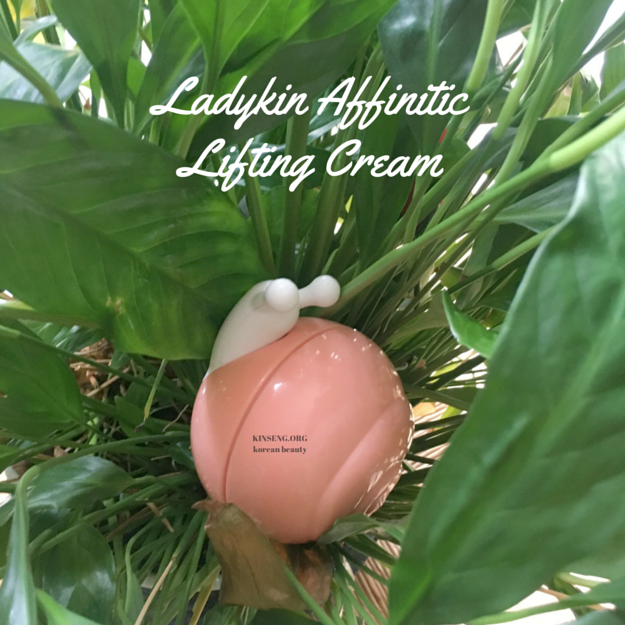 The Ladykin Affinitic Lifting Cream is marketed as an anti-wrinkle, skin elasticity-boosting, moisturizer that offers nutrients to the skin, namely the Dioscorea Japonica (Yam) Root Extract. Among the other featured ingredients are Adenosine, and apparently extract of Red Rose Wine, which actually sounds delicious, not gonna lie. Ladykin is not a new brand to me in the sense that I've been eyeing their products for quite awhile. They have a heavy cream that was vetted by blogger Moira at 35th of May as being excellent for very dry skin, squeal-inducing lighter creams that come in snail packaging, and equally adorable watermelon, strawberry, and mango gel products that I learned of first at Beautibi.com but are now carried at Memebox.com* as well. I'd never really investigated the brand however. Looking at their official site (at Ladykin.co.kr) I find that I kind of like their brand philosophy which is centered around the beauty of women and making it fun to use cosmetics. I think the 'fun' aspect really shines through in how they present their products. 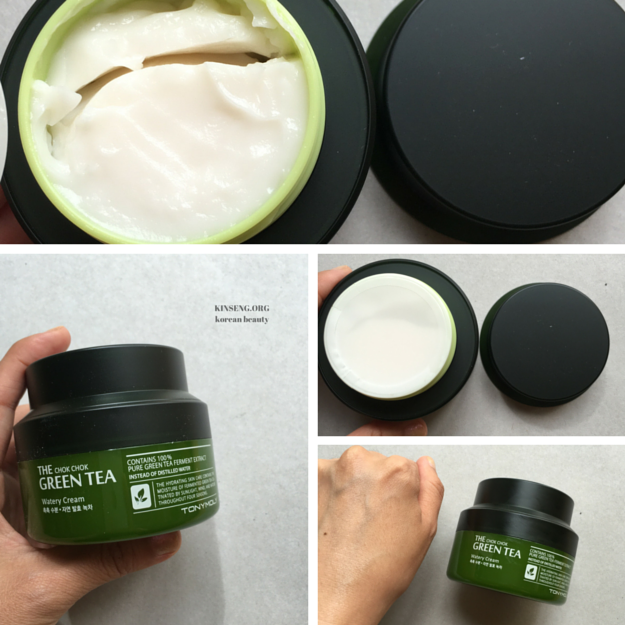 Disclosure: There are press samples and affiliate links in this post. All opinions are my own. Purchasing through an affiliate link is one way you can choose to support this blog at no additional cost to you. Press samples and affiliate links are marked with an asterisk. If you're curious about my policy on press samples, affiliate links, and sponsors, please see my disclaimer and policies. 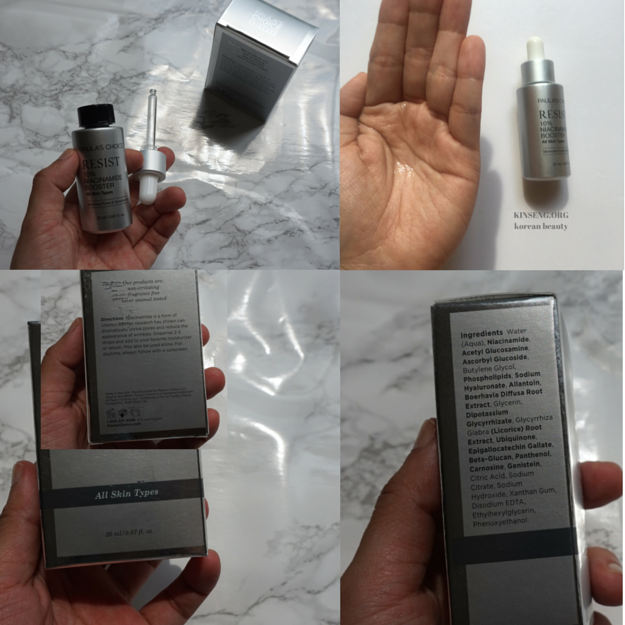 This month I had the chance to try out two beauty workhorses, aka products that contain very many active ingredients in the Paula's Choice 10% Niacinamide Booster, and the Timeless 20% C E Ferulic Acid Serum, and I was contacted by miniBbeauty, a Korean beauty instagram account to give an honest review of a product by a Korean brand called Maricle. The product is the Maricle Marine Pure Collagen Whitening Essence. I'm squarely on team cushion when it comes to base products. I spend much time evangelizing how amazing it is to be able to build up coverage to your particular need with the light, moisturizing layers afforded by many cc cushions. I'd reckon you could potentially put on 100 layers and still look mostly human (if you've seen those 100 layers of makeup videos you'll know what I'm talking about). By now I assume everyone knows what a cushion product is, but just in case, I'll review - they are compacts that contain instead of powder or a foundation cake, a foundation soaked sponge. With the compact comes an antibacterial bouncy applicator puff that you dip into the sponge, and pat onto the face. Today I'm pretty delighted to have a cushion review for you. 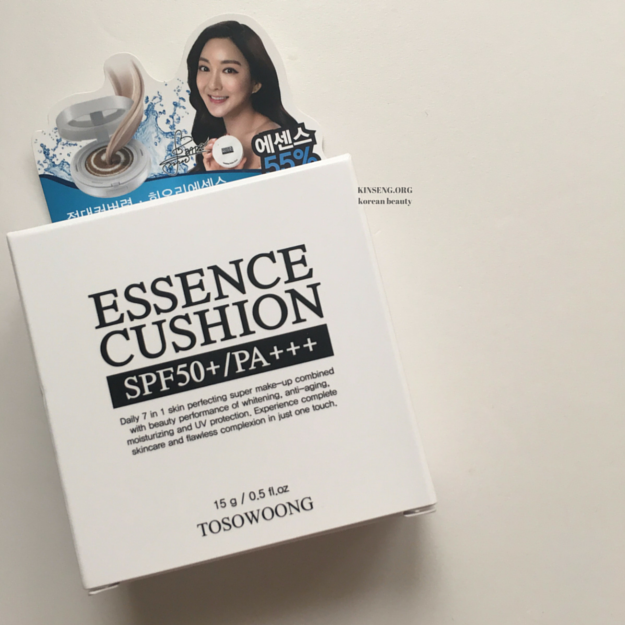 This Tosowoong Essence Cushion was sent to me by Cupidrop.com in shade 21, Light Beige. There are 3 shades in the range: 21 Light Beige which corresponds to an NC15, 22 Pink Beige which may be an N20, and 1 Pink Tone-up, which is like a shimmery highlighter cushion. Disclosure: There are press samples and affiliate links in this post. All opinions are my own. Purchasing through an affiliate link is one way you can choose to support this blog at no additional cost to you. Affiliate links are marked with an asterisk. If you're curious about my policy on press samples, affiliate links, and sponsors, please see my disclaimer and policies. So right now, on my bedside table, I have a trio of products from my summer 2016 haul, stacked on top of one another, waiting for me to declare my official verdict on them. Which I will do, with much gusto, smacking my gavelin (read: empty skincare bottles) at the end of each paragraph. JK. Each of these products today I could easily do a full, detailed long-form review on, only in the interest of time, I've consolidated everything into mini-reviews. So let's dive right in. Happy Saturday y'all. Just a quick reminder, it's the final hours to enter my summer mask giveaway, it's international so if you're interested in trying out some fun new masks all with a fruit, flora, and veggie theme, please go take a look! One of the masks in the prize package will be these Jeju Camellia Flower Masks from newish brand Dearpacker. Dearpacker was a mid-tier brand launched either early this year or late last year by one of the big Korean beauty conglomerates called LG Health and Household. This is the company that owns SU:M37 and The Face Shop. Dearpacker's main focus is on masks, both wash-off and sheet mask varieties. 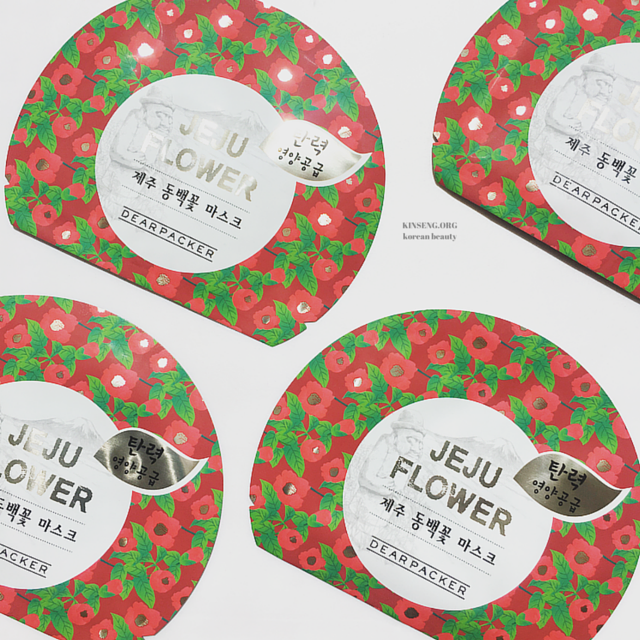 I picked up a 20 pack of one of their Jeju floral sheet masks of which there are 4 varieties: the unfortunately named rapeseed flower, cherry blossom, camellia, and cactus. The following review is on a cleansing oil that contains mineral oil, so if that's a dealbreaker for you I suggest you skip this post. I don't mind myself some mineral oil in cleansing oil form as I've used products like the Banila Co Clean It Zero's without getting any breakouts and found that products with mineral oil are often really darn effective. 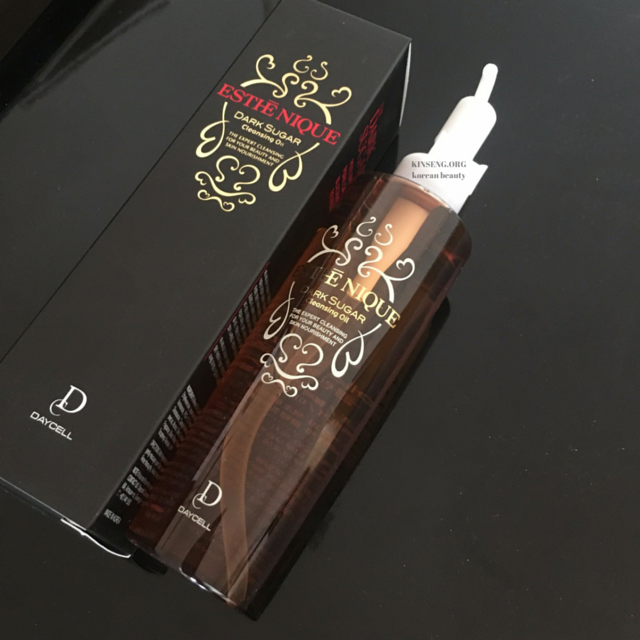 With that today I want to talk about the Daycell Esthenique Dark Sugar Cleansing Oil. 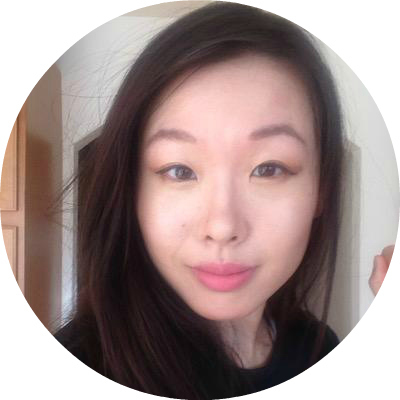 The draw of this product for me was a very positive and glowing review I came across on one of the many Korean beauty forums I frequent - the specific one I think was the one called Yeouya. After seeing the review I did a quick ingredients search on Hwahae and found that the few people who reviewed it on the app also had great experiences with it as well. eBates gets you cash back on almost all purchases!